This exhibition tells the origin and progression of Chinese characters, drawing evidence from its inscription on unearthed artifacts, and from its history of use and expansion. The exhibition brings together the past and the present and is exhibited in a manner that is comprehensible for all viewers alike. All caption text is in both English and Chinese. Exhibition Dates: May 4th – June 21st, 2013, Tue-Sun:11am -5pm. Closed on Mondays and Holidays. 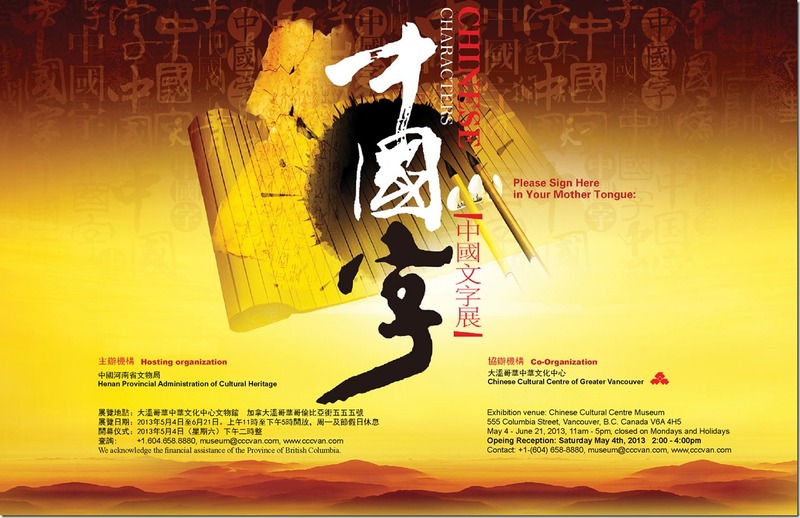 Address: Chinese Cultural Centre Museum, 555 Columbia Street, Vancouver, B.C. Museum admission: Free on Tuesdays. Wed-Sun: $3/adult, $2/student, senior. 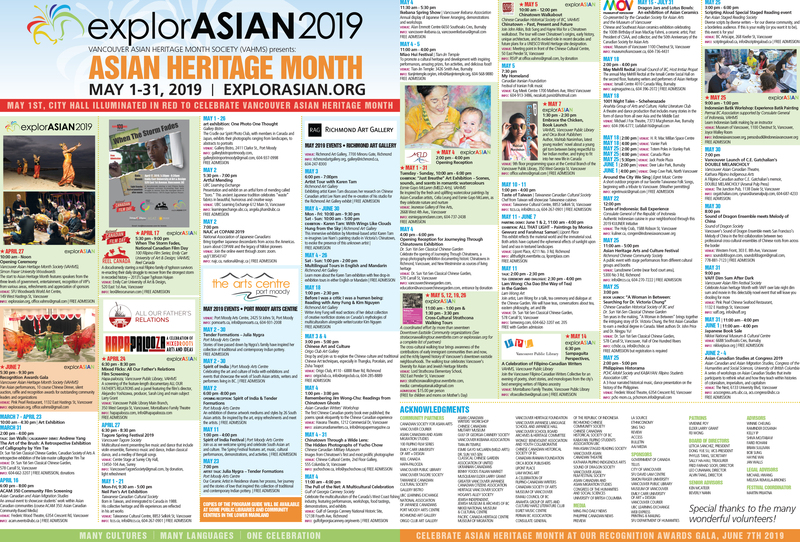 Free for Chinese Cultural Centre members.